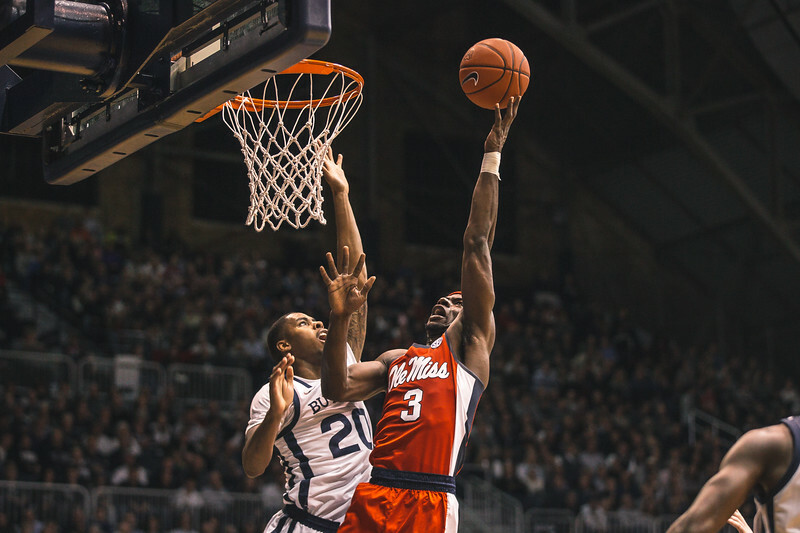 This was the second basketball game that I photographed in two days. 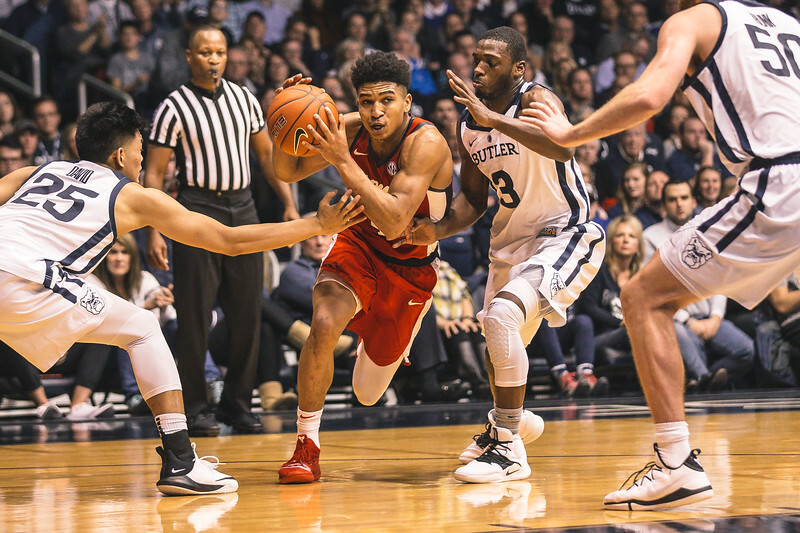 One in Mackey Arena, and this one in Hinkle Fieldhouse. I love both of these places and it is pretty amazing to be able to watch games in both of them let alone get paid to photograph them. I really am lucky to get to do what I love. This entire weekend should be a fun one as I get to do a lot of what I love all weekend long. 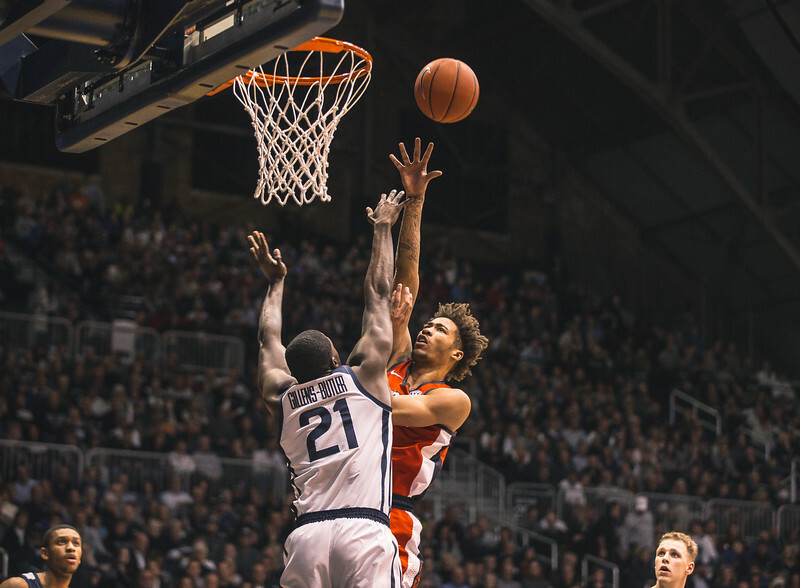 As I said above it blows my mind to think that in two days I would photograph games in Mackey and Hinkle. 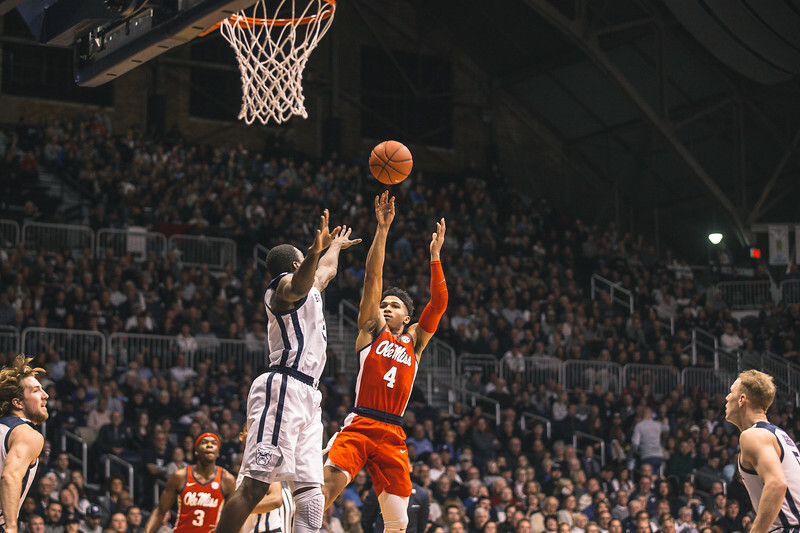 Part of the fun of photographing in Hinkle is getting the fans in the background with every shot. At Mackey the fans are raised slightly. 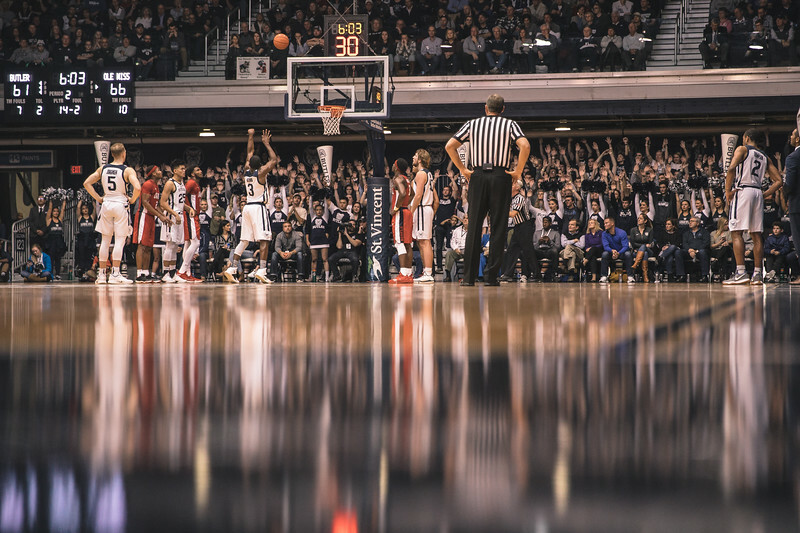 At Hinkle you have the crazy student section constantly in your head on shots. It really makes the camera on the ground shots fun. I always jump at these opportunities, and this one for Ole Miss was a no-brainer. The photo positions are not your typical positions so I get to shoot from my NCAA favorite end line position. It really does give my pictures a different look. Later in the season when I cover women’s basketball at the arena I can take my foul line position again. Shooting from the end line has me excited for March already. I have a ways to go before that though. We haven’t even started the conference season yet. One fun thing to try is to make photos at one sport that look like another sport. As this was unfolding I thought that I looked like a running back breaking through the hole. It is not the best photo of the night, but it is a little something different. The one thing about Hinkle that is a downside is the light. It is a very contrasty top down light that really makes you change up your settings a bit. You figure it out though, and it really works once you get your settings dialed in. I shoot there once or twice a year so I always doubt what I used the last time. Once I walk into the arena though I realize that I really have to challenge my camera a bit.